← Arugula — who knew? 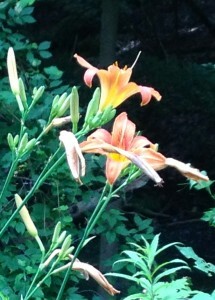 There’s nothing like a daylily to remind us that life is both fleeting and beautiful. 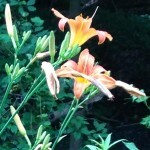 The flowers of the Hemerocallis — which literally means “day” and “beautiful” in Greek — last only 24 hours. The bright orange flutes of yesterday are withered like spent party balloons today, often drooping from the same flower stalk as the new day’s fresh-faced offering. The center of the flower is called its “throat” and is a different, contrasting color than the rest of the plant. 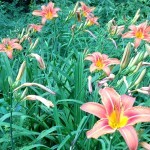 Shaped like a trumpet, the daylily embodies the ancient imperative: carpe diem! 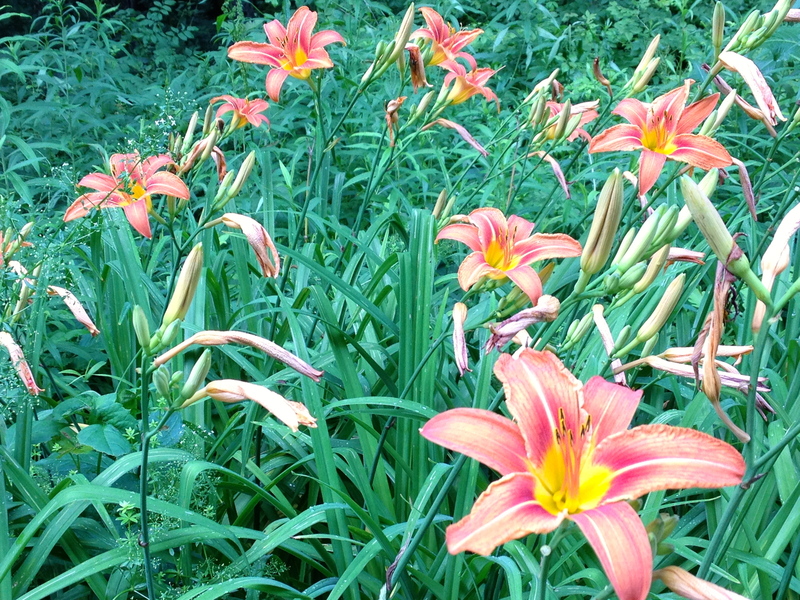 Day lilies thrive here in Florida, and are one of my favorites. Even though the flowers are short lived, the plant never gives up and keeps giving and giving! So nice to hear from you! I’m curious: do they bloom throughout the year in Florida?